Well, some Openembedded distros have "support" for the em-x270, but only poky (http://pokylinux.org) is officially supported into the distro. As a Openembedded distro, i'll try to compile and get it working with the module. Poky running into the em-x270. No icons loaded. It's not working properly, but it could be because the nfs server. I'll take a look on it. I'll get working some distros, then: angstrom (the officially compulab distro), and poky linux. Next step, use the Openmoko distro rootfs. This is my first english post in that blog. I created this blog in order to have the my hardware development in the OpenSource world up to date to the community. I'm working with some ARM Hardware devices (soon patches are in the kitchen). And in my spare time i'm getting fun hacking the Compulab EM-X270. 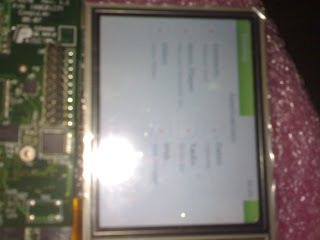 I get this device thanks to rakshat http://idasystems.net . 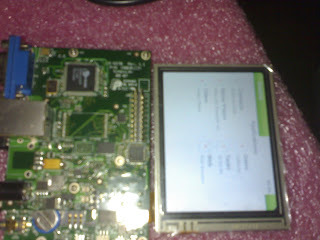 The goal is to make Openmoko Linux "distro", that was designed for NeoFreerunnere and Neo1973 hardware phones, to work with this device, and I'm hands on it. I'll try to keep the blog up to date.